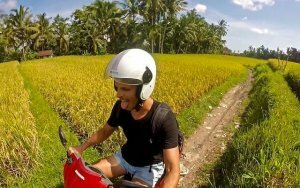 Why you should wear a helmet when riding a motorbike in Bali? No, I don’t want to sound like your mom, I just want to save you from a lot of trouble. 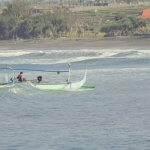 If you haven’t come to Bali yet, you probably don’t know what I am taking about but if you are here, I am sure you know. So just make sure you wear a helmet when riding your motorbike. In the beginning, the ones – including me – not used to driving bikes back home are dreading the fact of cruising around Bali with motorbike. Driving surely takes another meaning here. Nothing to do with the Western type of driving you are used to at home. Signs are only used for decoration and rules are only there to be broken. However, everybody is smiling and laughing and once you get the hang of it, you will do too. I hate to break the bad news, but if you plan to stay for more than a week in Bali, the time will come that you will be forced to rent a bike. Why? Because it is cheap as hell (approximately 3 euros per day) and because that’s the quickest and easiest means of transport as roads tend to be quite narrow, there’s a lot of traffic and it is much easier to park. Stage one: You are scared as hell, drive really cautiously, really slowly and everybody bips at you. Of course you wear your helmet, even take with you your motorbike driving license (if you have one). 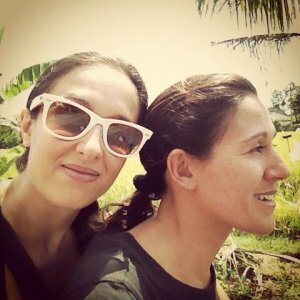 Stage two: You are starting to enjoy cruising around Bali with motorbike and starting to learn your whereabouts. Stage three: You are getting super confident and your initial fear (which fear?) is normally forgotten. Wear that helmet! Safety comes first! And this is the most dangerous stage as that’s when most accidents normally happen. Don’t get me wrong, I do not wish you have an accident while in Bali, but chances are you will. So let’s hope it is a small one. And by wearing that helmet you are minimizing the risk at least for your head part. And this is what you shouldn’t do! Driving around without helmet! In addition, you will not be stopped by the police for not wearing your helmet. This is probably the one and only rule that everybody abides to: Police will stop you if you don’t wear your helmet. And for some reason, police here has a sixth sense and knows who to catch. The tourist that is not leaving enough here, the blonde tourist that has been sunburnt (he is not leaving here for sure) and the list goes on and on. And if the above do not sound convincing, just wear that helmet, so your mother back home has one less worry now that you are far far away from home. Now I do sound like your mom!